At the 2014 Marcone Servicers Convention, the Heroes Flag pictured here was proudly displayed over the event’s proceedings. In a touching ceremony during the convention, HEROES Care representatives, along with BCSM Dewayne Keel, personally thanked Marcone’s employees, executives, and customers for their show of financial and moral support of U.S. troops. 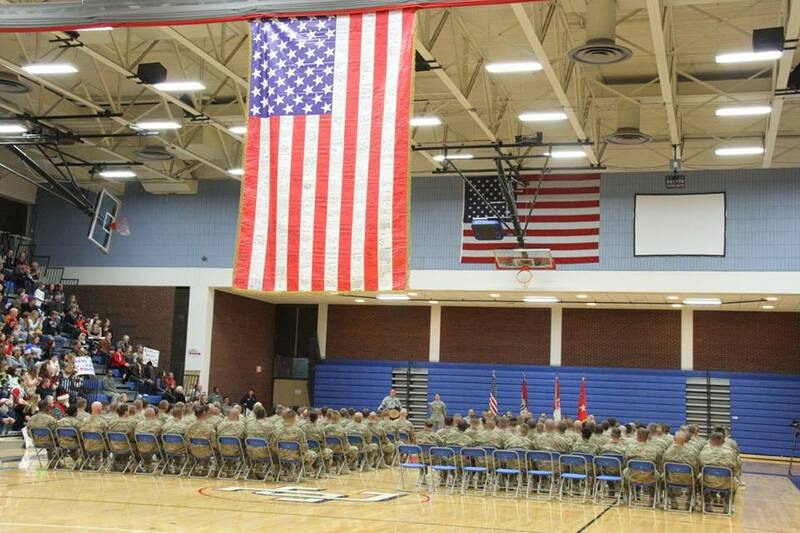 On Saturday, December 6, the Missouri National Guard 220th Engineer Company made their final stop on their return journey from their deployment to Afghanistan to Hillsboro, MO, for the traditional ‘Welcome Home’ ceremony. The Welcome Home ceremony is the last official gathering of the unit after deployment before the soldiers stand down to return to family and community.